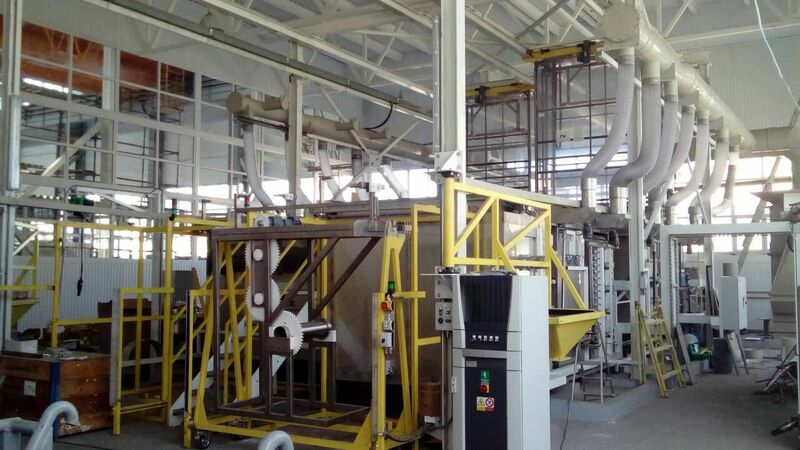 Automatic two-row line for titanium casting on hinges and drums. Dimensions of the tank equipment: 2000 x 800 x 1900 mm. Automatic control of all required parameters, special programs for titanium casting in special products with rotating parts in the casting tank. 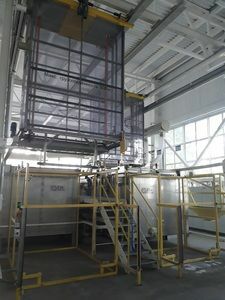 Special handlers with suction, hot water spraying and blowing. 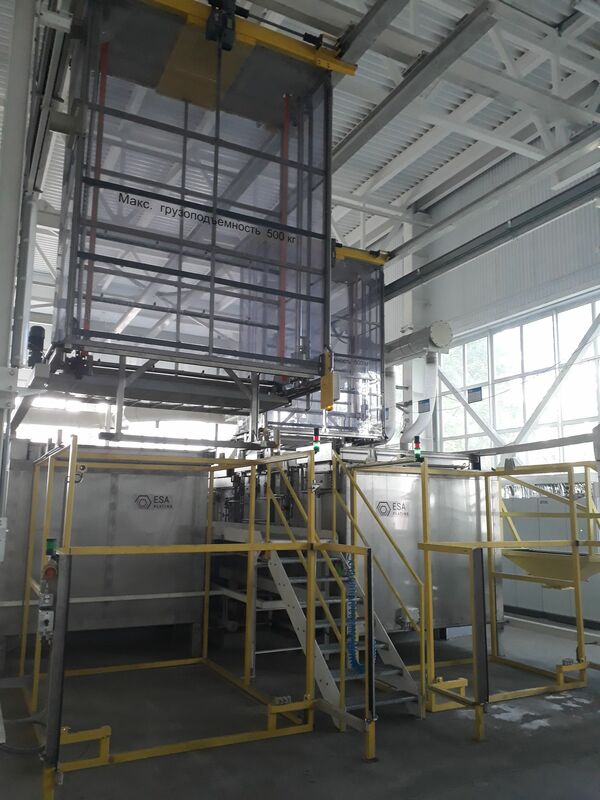 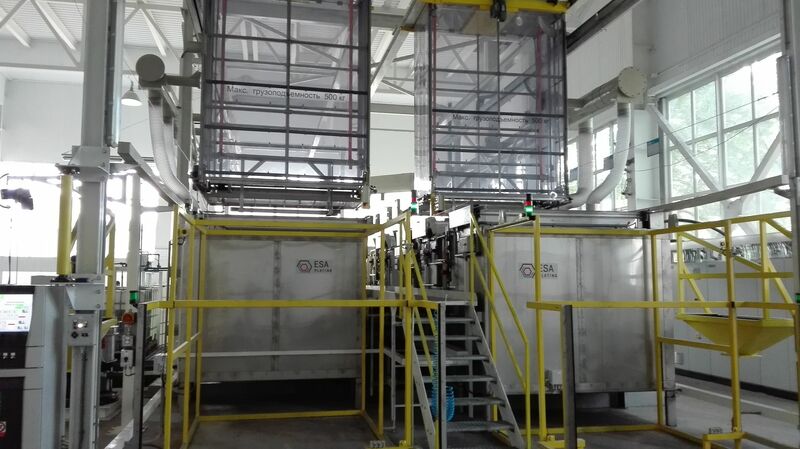 Automatic dosing of each casting chemical and degreasing baths. 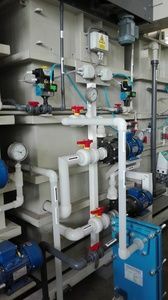 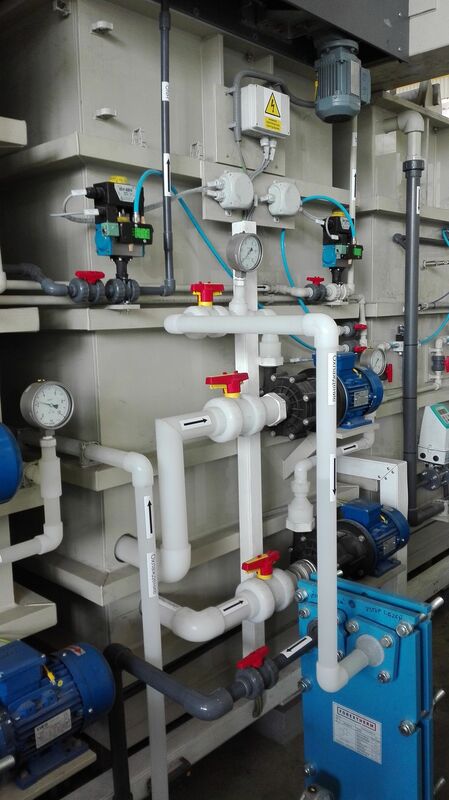 Automatic station for the production of demineralized water with reverse osmosis. 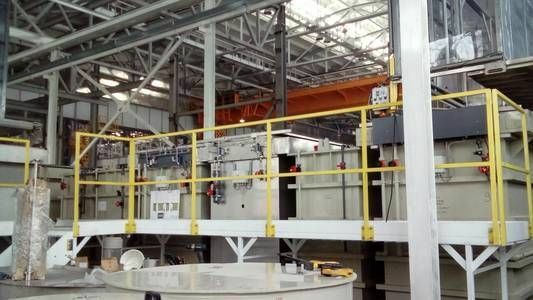 Automatic station for the treatment of waste water from the casting line.